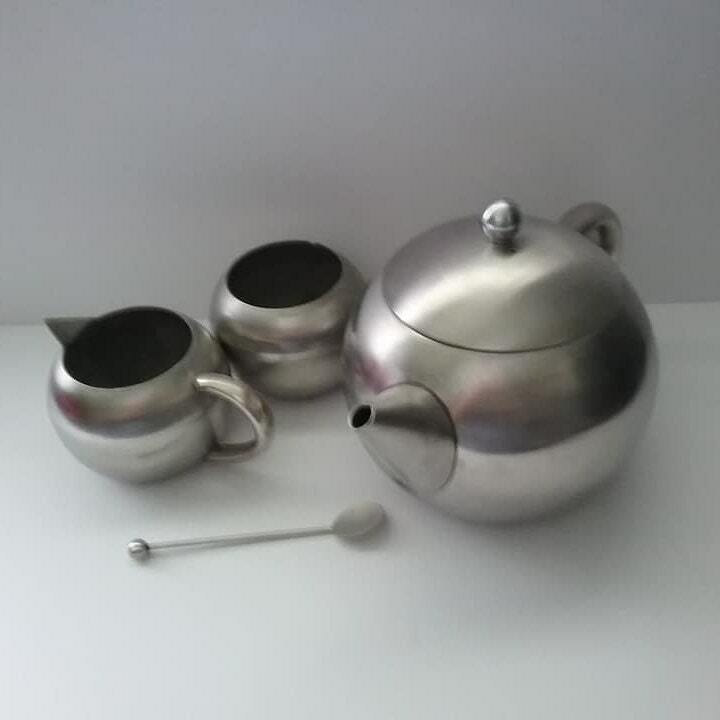 Vintage aluminum teapot set. 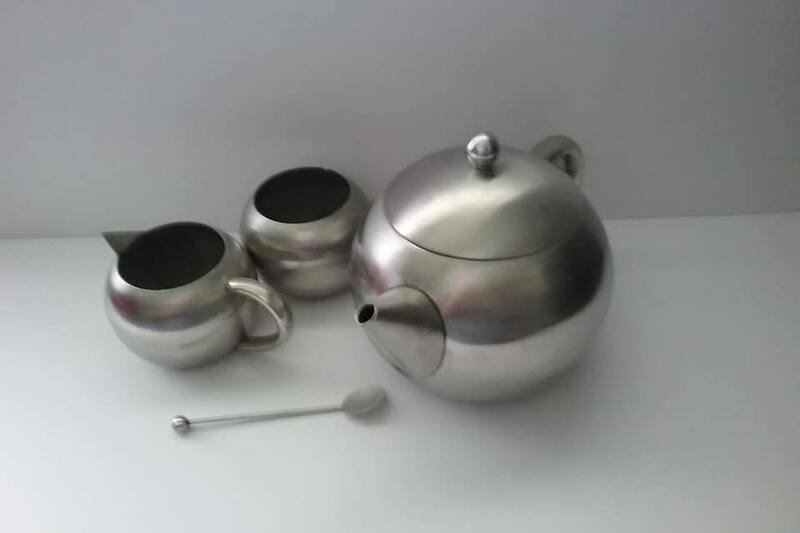 Includes creamer, and sugar bowl. 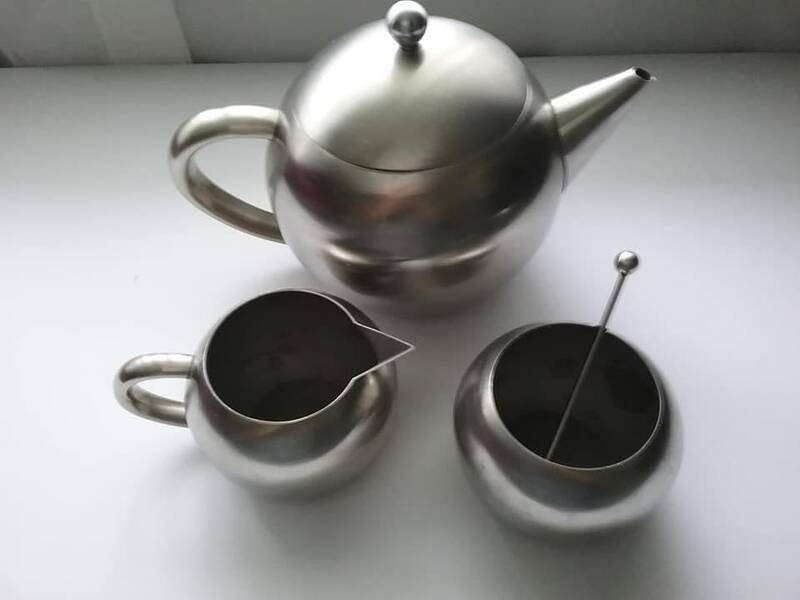 Approx measurements are: teapot 5" h and mouth has a 4.5" d and cream and sugar bowls 3" h x 2.5" d. Beautiful round shape lends itself to a mid century modern decor, or a rustic feel. 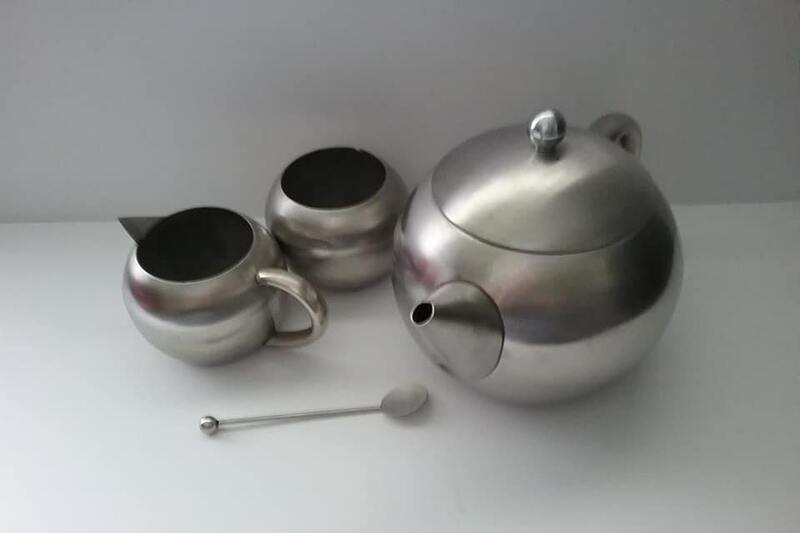 It is lovely for displaying, but very nice for serving. 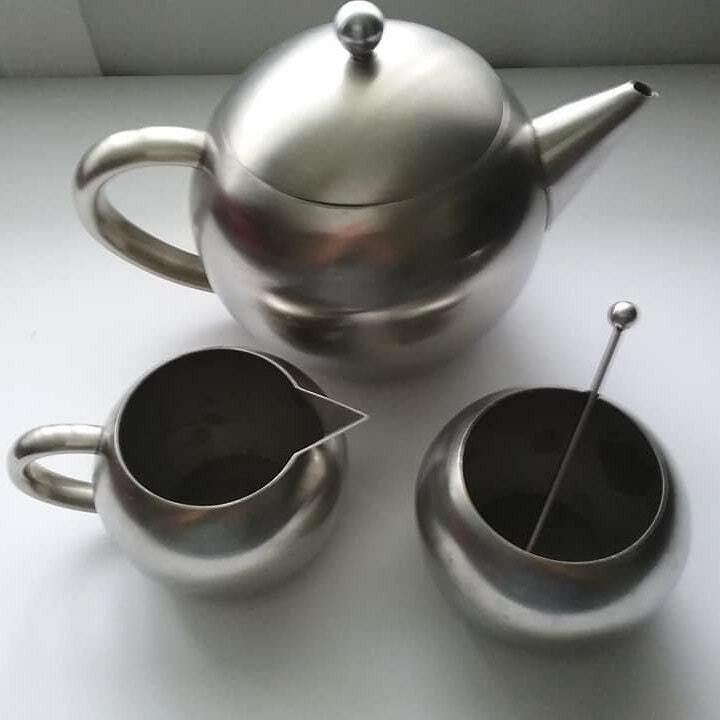 It is in very good vintage condition, showing minor wear (scratches on outside of pot very minimal, and of course the insides are darken'd from tea over the years) Please see pictures. 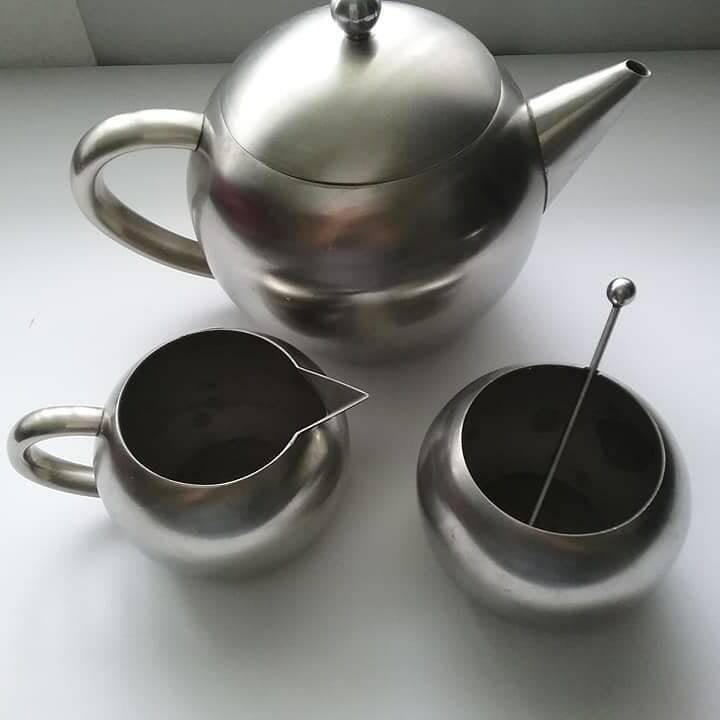 It is a very fine addition to your mid day tea.